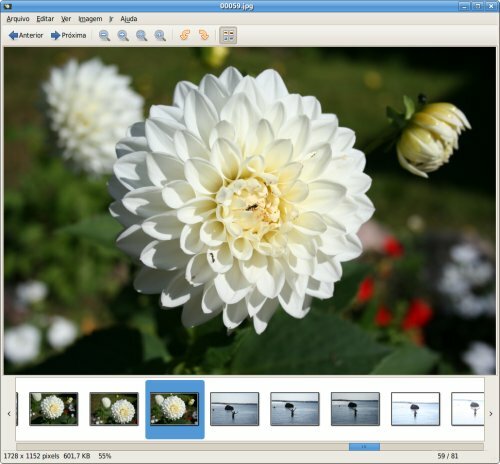 This is the first stable release of Eye of GNOME (EOG) as part of the GNOME 2.20 major release. The 2.20 release is very special for EOG as it’s the first one with a complete rewrite/refactoring of its core. This means that GNOME now has a much improved image viewer. There lots of cool new features, we really hope you all enjoy! Many thanks to everyone who contributed to this release, specially to EOG’s team members, Claudio and Felix. New plugin system which allows developers to extend EOG’s UI and behavior. Python support is available. New image collection pane with on-demand thumbnail loading, polished look, and continuous scrolling side buttons.